Tracking the route, location and depth of a piping system not reflected accurately or perhaps at all on the "as builts" or as events have sometimes painfully proven, on the "as imagined" drawings. Locating "lost" or malfunctioning valving, "mystery'' connections, suspected inline blockages, size disparities and consequential leakage. 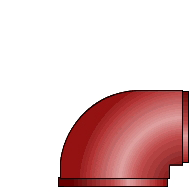 As with all poly pigs it can be safely used in multidimensional piping systems, of all types, sizes, lengths and uses, can have its in line velocity controlled and requires only one entry and one exit port, for inspecting miles of piping in one run. As it travels through the pipe every foot of the system can then be marked, flagged or indicated in an appropriate manner for informational or operational purposes. With an accurate minimum range of up to 100 feet on either side of the pipes center line and 50 feet in depth, even in water, the Sherlock and its sidekicks, (yes, there is a Watson and a Little Piggy model too! ), have been very successfully used in many differing applications. And as usual, all preliminary site and system inspection and evaluations are skillfully provided by Professional Piping Services, at no cost or obligation. NOTE: A clean conduit may or can be required for the use of the detector pig. Got a mystery in or about a piping system? Call on us, the experts, we can help to solve it!! Professional Piping Services, is a licensed Underground Utility Contractor specializing in pipeline cleaning and rehabilitation. Located in Wesley Chapel, Florida, Professional Piping Services, has successfully cleaned over 20 million feet of dirty and previously malfunctioning piping in the US and Canada. In business in Florida since 1985, Professional Piping Services includes private industry, cities, amusement parks, counties, military bases and municipalities, both large and small, among its clients. Specializing in the use of poly pigs, though not limited to this method, Professional Piping Services, works with engineers and utility personnel to help diagnose inline piping system problems and then suggests the best course of action to rectify it. Whether it be a turnkey operation or in conjunction with the utilities work force, Professional Piping Services is prepared to solve in line piping system problems in the most efficient and cost effective manner possible. Professional Piping Services founder and General Manager Roger M Cimbora, Sr., has been in the pipe cleaning business for 39 years and in the construction piping industry since 1957. His knowledge and experience has enabled Professional Piping Services to become an innovative leader in the piping rehabilitation industry. Most systems can remain in service and online while they are being cleaned and restored to their maximum flow capacity. Multidimensional lengths and diameters of piping can be cleaned as one operation, (miles at a time can be done). In line valves and fittings pose no difficulties for the proper and safe rehabilitation of existing malfunctioning systems, including butterfly valves in some applications. Pre project site and system inspection and evaluation is always provided. Tracking and precise locating of "lost" lines as well as GPS locating of systems can be done. Consequential and measurable reductions in energy usage and water treatment including disinfection can be achieved in all types of systems particularly potable water process piping, wastewater force mains and raw water systems. System preparation can be done with a minimum of disruption of service and containment of a systems contents can be readily accomplished. Provides cost saving and practical alternative to replacing serviceable systems that could function properly if they were restored to their designed capacity, (or stop throwing away perfectly good pipe whose only sin is that it is "dirty"). We can provide and coordinate project proven technology with the requirements of designers, engineers and operations staff. We provide documented, extensively trained, experienced field crews with mature and knowledgeable supervision. WANT TO OR NEED TO KNOW WHERE IT IS? HORIZONTALLY & VERTICALLY? We now can provide a project proven method to accurately locate underground and subaqueous piping systems in any locations, (suspected or known)!! Evolving technology has finally achieved the means to solve some longstanding and perplexing headaches in the piping industry. How to find, pinpoint and confirm the location of piping that may or may not be where the as-built, (aka, "as imagined"), drawings indicate that they may be. Now we can accurately locate or detect piping and take the worry and the mystery out of being close, or in the way, or waiting to be found the "hard" way or the close encounter of the horrid kind. We can locate piping up and down and sideways. For example, if the signaling/tracing wire on your directional bore is broken or can't be found we can still accurately locate this piping. Currently we can locate any piping horizontally and any non-metallic piping vertically. No excavations, but access to the system at its start and finish is required. Non obstructive, if necessary, tracking and confirmation can be done in heavily used streets with no or minor disruption to traffic. In order to work properly it requires that the system(s) be clean without restricted flow capacity. Can be done with concurrent GPS mapping and coordination. Piping system diameters, lengths or uses do not deter or impact the effectiveness of this procedure. Can be used in all types of piping for horizontal applications and all types of non-metallic piping for vertical locating. You know us. 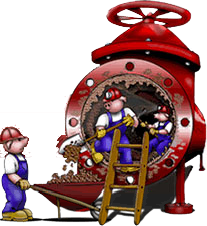 We have been cleaning piping systems and solving other inline problems for over 31 years.